Spotlights Sioux City Foundry Co. In the 145-year history of providing quality products & services, Sioux City Foundry has continued to evolve, advancing in all areas of steel fabrication, cast iron manufacturing, sheet metal fabrication, steel manufacturing and much more. In addition to providing quality products and services, we have added new capabilities to our Machining Center, including drill, bore, mill, cope and thread mill, used to manufacture metal products. Sioux City Foundry continues to work diligently to be one of the top foundries nationwide and your premiere One-Stop Metal Shop. Our company has grown by tremendous strides since it was established in 1871, on the corner of Main and Seventh streets in Sioux City, Iowa. 'Foundry' describes only a small part of what we do now. We have evolved to become all things to the metals industry. 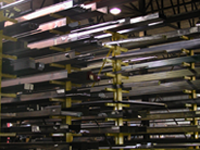 We warehouse a variety of Stock Steel and process your order to meet your custom requirements. 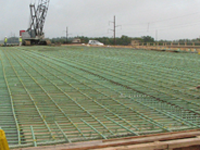 Our Reinforcing Steel department supplies high quality black and epoxy coated reinforcing steel for a variety of construction projects. 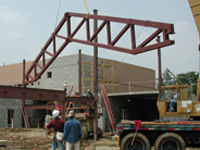 Our Midwest location allows us to provide quality structural steel beams and metal fabrication to a wide range of customers. As one of the most versatile producers of metal fabricated products, we are able to provide high quality products, service and selection. We are located next to our own steel warehouse, which makes us an unbeatable combination when it comes to providing professional quality metal products and tremendous customer service. Of course, Sioux City Foundry wouldn't be complete without our Cast Iron Foundry. We work with both older casting patterns, as well as design new patterns, according to your unique requirements. 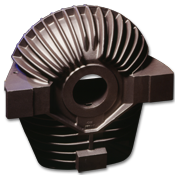 We use a variety of molding methods to guarantee the perfect fit for your gray iron and ductile iron needs. 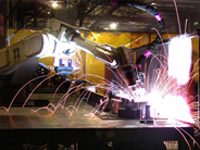 Sioux City Foundry works with our customers to ensure best-in-class products, services, and results. 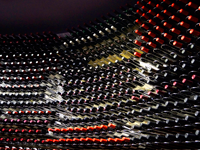 Sioux City Foundry handles all your metal needs, from iron castings to structural steel and welded metal jobs, black and epoxy coated rebar, and NEW stainless steel Wine Racks. 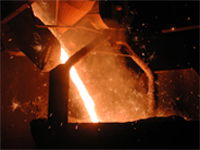 Call 800-831-0874 today and make Sioux City Foundry your complete source for all your metal needs. If you are experiencing technical difficulties, please contact our Webmaster.